Pharmaceutical and biotech patent law, David K. Barr & Daniel L. Reisner eds. Practising Law Institute, 2017. 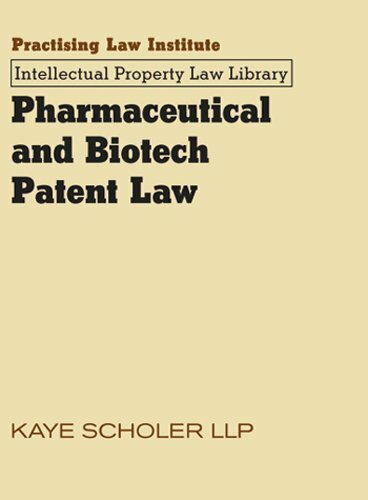 Pharmaceutical and Biotech Patent Law shows you how to craft rock-solid patent applications for these inventions; partner with the government to bring patented inventions quickly to the marketplace; invalidate competitors’ patents by proving they fail to meet key requirements; protect against various forms of patent infringement; and successfully rebut charges that your clients are infringers. Included are detailed checklists that help you resolve especially thorny patent problems. Douglas W. Lind. 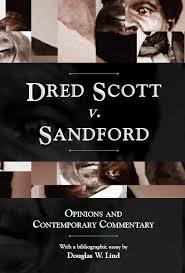 Dred Scott v. Sandford : opinions and contemporary commentary, with a bibliographic essay. William S. Hein & Co., 2017. The decision in Dred Scott v. Sandford, that all African Americans (free and enslaved) were unable to become American citizens and therefore lacked standing to sue in federal court, and that Congress had no authority to prohibit slavery in the territories, was truly monumental in its impact on the nation and immediately generated widespread public debate. When congressional inaction postponed for a year the market availability of copies of the decision, it was Benjamin Howard's New York, Appleton imprint of the case that the public read and which scholars relied upon as a basis for the earliest and most forceful legal commentary and analysis. From a transmission history and a cultural reception perspective, the importance of this cannot be understated. Howard's imprint provided the textual ammunition for both sides of a debate which further divided the nation as it marched toward civil war.